As for my friend? She's ghosting, too--ghost-blogging for several corporate clients, and is making good money from it. For example, for one client she's paid $300 for a blog post of 500-600 words. The work is relatively simple; the client chooses the topic, she interviews him, and then writes up the post for his review and approval. The first couple of blog posts may not pay that well in terms of hourly rate as she becomes familiar with his voice and gets up to speed on the topics and industry she's covering. But the longer she works for the client, the more money she makes per-hour--she's able to spend less time writing the posts and less time making any edits as she "knows" her client. That's great for any freelancer, but the benefits don't stop there. The more she blogs, the more irreplaceable she becomes to the client. After all, she knows his voice; she knows his company; and she knows his industry. That gives her job security (or at least freelance gig security) in an ever-changing environment and that is valuable. That's just one reason ghost-blogging is a smart choice for freelancers today. Blogs need feeding, and need feeding often--typically at least once a week, often more often. That's a lot of work for writers like you and me. While blogs typically pay anywhere from $50 to $500/post, ghostwritten posts tend to pay the most--up to $1/word. So how do you crack this lucrative area? First, yeah, you need some blogging experience; clients will want to see examples of your work. Second, consider your background and topics you've covered before. If you've written about a particular industry or profession, look for blogs in that subject area and draft an LOI highlighting your relevant qualifications. Make it your goal from the outset to nab an ongoing gig, not just write a post or two--that's hardly worth your while. While your client probably already has ideas for posts, coming up with your own can make you more valuable. Stay up on what's happening in the topic you're writing about--the more you know about your client's industry or business, the more valuable you become. Ask if the client wants your help coming up with art/photos for the post, and whether he wants you to promote the posts on social media sites. Your goal is become the go-to person for blog posts for your client; when you do that, you ensure steady work with zero marketing time, which boosts your hourly rate and your productivity! ** Last chance! If you're reading this before July 1, 2013, you have a few hours left to take advantage of my 50 percent discount on print editions of Six-Figure Freelancing: The Writer's Guide to Making More Money, Second Edition or Dollars and Deadlines: Make Money Writing Articles for Print and Online Markets. Order directly from Improvise Press,and use the discount code, THANKYOU (all caps/no breaks) for 50 percent off of your order, the best price you'll find in any brick-and-mortar or online bookstore. The last shipment of books will mail Monday, July 1, 2013, so don't wait! Only Two Days Left for the 50 Percent Special Offer! Just a reminder...the 50 percent off special offer expires June 30. If you're planning to order Improvise Press books, do it now! Use the discount code THANKYOU (all caps, no breaks) for 50 percent off of Six-Figure Freelancing: The Writer's Guide to Making More Money and Dollars and Deadlines: Make Money Writing Articles for Print and Online Markets. Thanks and have a great weekend! For Freelancing Parents: Make Money off of Your Kids! My special give-away in honor of my son's eighth birthday continues, so I thought it would nice for a tie-in "blast from the past" post. If you've got kids, you've got story ideas--so why not blend the two and write about parenting? There are hundreds of paying print and online markets constantly searching for parenting pieces that entertain and inspire as they inform. New and inexperienced writers often break into freelancing by writing about parenting issues, and writers who develop a specialty in this area often find that they need look no further than their own families for story ideas. But writing about parenting and child care is more than simply relating personal experience—parenting writers are expected to keep up on trends, locate and interview experts, and provide plenty of service for readers. Create New Spins on Evergreen TopicsMany parenting stories cover topics like health, child development, discipline, and nutrition. While these subjects are covered over and over again, look for a new angle or new approach to sell your story idea. 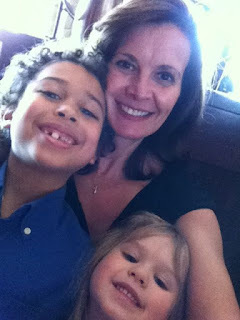 Thanks to my kids, I've written about everything from toddler dental traumas to the importance to "mom friends" to how to help your kids evaluate risks to prenatal nutrition to adoption to how to know whether you're a cool mom. (For the record, I think I am--my kids my think otherwise.) And many of these stories have been reprinted, which means extra money for me--and one more reason to combine freelancing and parenthood. ***Did you stumble onto this blog as a new freelancer? If you haven't yet bought your print copy of Six-Figure Freelancing: The Writer's Guide to Making More Money, Second Edition or Dollars and Deadlines: Make Money Writing Articles for Print and Online Markets, I'm offering a very short-term 50 percent discount for readers. It will expire by week's end, so order right away--and please tell your freelancing friends who may be on the fence this is the time to buy! Order directly from Improvise Press,and use the discount code, THANKYOU (all caps/no breaks) for 50 percent off of your order, the best price you'll find in any brick-and-mortar or online bookstore. Today, June 24th, is a special day for me. Eight years ago, I got the call that the young woman who had chosen us to be her baby's parents was in labor. A few hours later, her mother called to tell me the baby was born--a little boy--and that he and her mother were both fine. We could come to meet him right away. Less than two hours later, I held my son for the first time. Erik and I had been trying to become parents for more than six years, first the "old-fashioned" way and then through fertility treatments. 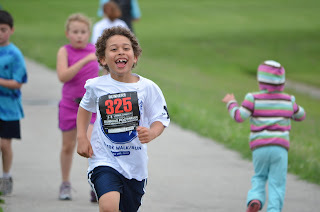 When we decided to adopt, I realized that my doubts were gone. We would be parents--we just didn't know when. Nine months (really!) 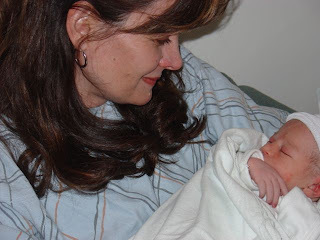 after we started the home study process, Ryan was born and made me a mommy. To say I'm grateful to be his mommy is an understatement. And I'm truly grateful for so many people in my lives--not just my immediate families, but my children's birth families (we have "open" adoptions, which has been amazing), and my many friends, both writers and non. I'm also grateful to be able to freelance full-time (more than 16 years now!) and for the life it gives me both as a mom and as a writer. So I have no problems expressing that gratitude. I've written before about how I believe in thank-you notes. People are often surprised to receive them, but I send them for several reasons. First, as a freelancer, you’re competing against hundreds of thousands of other writers, many of whom are just as talented as you are, maybe even more so. If you cane make yourself memorable to the people you come into contact with (in a good way), that's a plus. Sending thank-yous is part of how I run my business, and one of the things I’m known for. I’ve sent them to clients who have hired me to speak, to agents and editors I’ve met at conferences, and to people who have referred me to new clients. I’ve mailed notes to say congratulations or to tell an author I loved his recent book or just to say I’m thinking of that person. I know I love getting “real” mail and thinking of the reaction of the person getting the note makes my day. And recent research suggests that expressing gratitude does more than please your mom (she's the one who insisted I write thank-you notes as a kid.) It boosts your mood and improves your immunity and overall health, at least in the short term. And I'm saying thank-you to my regular readers, too. If you haven't yet bought your print copy of Six-Figure Freelancing: The Writer's Guide to Making More Money, Second Edition or Dollars and Deadlines: Make Money Writing Articles for Print and Online Markets, I'm offering a very short-term 50 percent discount. It will expire by week's end, so order right away--and please tell your freelancing friends who may be on the fence this is the time to buy! Order directly from Improvise Press,and use the discount code, THANKYOU (all caps/no breaks) for 50 percent off of your order, the best price you'll find in any brick-and-mortar or online bookstore. And thank you! Stressed out in Central Illinois? I'll be in Champaign on Thursday! Just a quick note to let readers know I'll be in Champaign (Illinois) Thursday, June 20, for a speaking gig. I'll be talking about stress--and how to handle it--at a fun Gigi Downtown event. Tickets are only $10, and if you're there, I'll be happy to answer a few freelancing questions afterwards as well! Hope to see some of you there. How Excited are You About your Freelance Career? But freelancing is by far my favorite gig. I love the freedom and the flexibility of being self-employed. I love the fact that I can set my own hours in most cases, and that I'm (usually) rewarded for doing a good job. I love building relationships with clients, and when they come back to me with new assignments (there's no bigger compliment) and I love the satisfaction of taking a complicated subject and turning it into an article, book chapter, or even book. It's gratifying work. So you may be surprised to learn that I don't always feel this way. There are days, weeks even, when I don't really feel like freelancing any more. My enthusiasm for it is gone...until it eventually returns. I used to freak out when this happened, thinking I wasn't cut out for the freelance lifestyle. With 16 years in, though, I know that's not the case. My drive, motivation, and excitement for my career fade...but they always come back. Over the last few months, I've suffered a bout of what I call career malaise. I knew the reasons, but that didn't change how I felt. I'd had several promising book deals fall through, one after another. I wound up taking on a project that should have taken just a couple of weeks--but it stretched into a nightmare that lasted nearly two months. I was putting most of time (and mental energy) into launching Improvise Press. I didn't have much left over for my freelance career. Maybe, I thought, I was done freelancing--I'd just put all my energy into my new publishing company and working at the Y. Then several things happened. I got an email from my agent on Memorial Day about a lucrative ghosting gig--which did go through. Then I got a rush assignment from a regular client, a company that I license reprint rights to. It had me scrambling for the next 24 hours, but it netted me a quick $550. And then a new client contacted to me to say that not only was she pleased with the article I wrote (along with the photos), that they were going to hire me for a longer, more complicated project. All of a sudden the thrill of freelancing was back. Once again, I feel like I'm running toward something promising, lucrative, and fun. 1. Focus on what you can control. You can't make an editor say yes, or give you an assignment. You can send a certain number of queries or LOIs this week, though. Focus on what I call production goals and you'll feel like you're getting somewhere. 2. Cut back on the nonessentials. When I started this blog more than three years ago, I posted several times a week. That's great for my readers, but time-consuming for me. Now I post once a week (almost always on Mondays), which gives me more time for work--and play. 3. Do something different. One of the best things about starting Improvise Press is that all of my career eggs are no longer in the freelance writing/editing/ghostwriting/authoring basket. Now I have another business--albeit a related one--to put some of my creative energies into and for me, that's energizing. 4. Reach out. Freelancers may work alone but it's wonderful to have a community and even better to have freelancing friends who "get it." For example, I've been a member of FreelanceSuccess.com for more than a decade, which is a great resource for established and new-but-serious-about-it freelancers. You get market guides, access to back issues of the newsletter, and the chance to network with 500 other freelancers. I also have friends who freelance both online and IRL, and I know that they all experience the same periods of burnout, self-doubt, and loss of enthusiasm too. 5. Make a list. Why do you freelance? I assume if you read this blog, it's to make money from your work. That's a given. But why else? Do you love the creative process of writing? Do you still get a thrill to see your name in print? Do you get to write about subjects you care about? What does freelancing give you that another career would not? Write down your reasons, and reflect on how lucky you are to do something--write for money--that too many people only dream of. I bet that will breathe some life back into your freelance career--and make you feel like you're running toward something wonderful. **Need a freelance boost? Time to read Six-Figure Freelancing: The Writer's Guide to Making More Money, Second Edition.I promise you'll garner tips and techniques to help you make more money from your writing! And if you're a new freelancer, or want to launch a career where you can get paid for your writing, Dollars and Deadlines: Make Money Writing Articles for Print and Online Markets, will take you from unpublished to published and paid. Both books are available through any online or brick-and-mortar bookstore. But if you order directly from Improvise Press, use the discount code, IMPROVISEPRESS (all caps/no breaks) for 20% off of your order, which makes it cheaper than buying from Amazon. Only $400 for 600 words? Why I Said, "Yes." I've posted before about the difference between dollars/word and dollars/hour, and why the latter is a better indicator of whether an assignment is worth it. Don't get me wrong--I want to get the highest rate possible, believe me! But I take assignments that other writers might say "no" to--if I think I can make my hourly rate. For example, a couple of weeks ago, an editor I'd worked with before emailed me. The magazine she worked for had been sold, and she was now editing another publication, one that's new to me. She asked me if I'd be interested in taking on a brief assignment (600-700 words) that involved creating a workout plan and shooting photos of it as well. The rate? Only $400. That's a pretty low per-word rate, especially considering that I'd be providing photos as well. A few years ago, when the freelance environment wasn't as competitive, I may have turned this assignment down. After all, I used to do a lot of features for national magazines that paid $1-1.50/word--and I much prefer a $2,250 assignment to one that pays less than 20 percent of that. Plus, most of my work these days is ghostwriting/coauthoring books for clients, which typically pay at least $15,000. 1. I've worked with this editor before, and have always enjoyed it. She's smart and easy to work with, and I knew I wanted to to continue our professional relationship. 2. I knew the piece wouldn't take me long to complete. I've written dozens of workout stories and they're relatively easy for me to draft. 3. As an ACE-certified personal trainer, I didn't need to source this piece. In some cases, editors want me to rely on other experts, but here, I had the OK to create the workout myself. That meant I had to do no extra research--after all, I write workouts for clients. Now I was writing one for readers. 4. The publication's subject matter focuses weight loss, fitness, and health, subjects I specialize in. It's likely that if I do a good job, I'll be offered other assignments--and hopefully become a regular contributor with the magazine. 5. I hadn't shot photos for a story before. I'm a writer, not a photog! But I figured this was an opportunity to practice a skill that would be valuable to clients in the future. Plus, I already had a "fitness model" in mind and I thought it would be fun! 6. Even considering a photo shoot (which took just 35 minutes), I thought I could write the piece and deliver the photos in five hours, which meant an hourly rate of $80, not bad at all. Get the idea? Well, the assignment ended up taking just over five hours, total. I turned in the story long before deadline, and my editor accepted it a few hours later. Better yet, she's so happy with the piece she's promised me more work soon--and now I've gained some experience "shooting" as well as writing. Remember, you can't control what a market pays, or what a potential client offers you. But you can make an educated decision about whether that assignment is worth it to you--and whether it may offer some long-term benefits as well. Readers, what about you? Do you say "yes" to assignments you think other writers would turn down? Tell me about a time you've done so, and I'll enter your name in a new giveaway for some free freelance consulting time! **Are you a new freelancer, or want to launch a career where you can get paid for your writing? 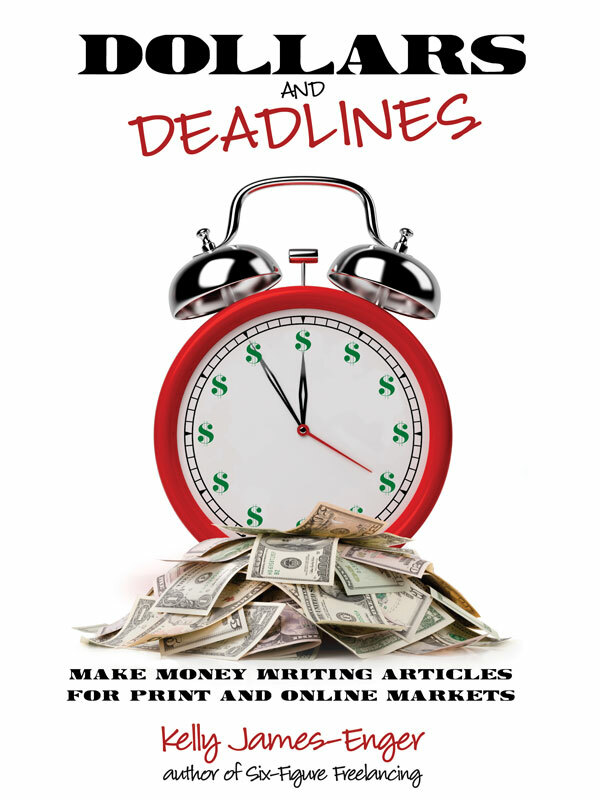 My book, Dollars and Deadlines: Make Money Writing Articles for Print and Online Markets, will take you from unpublished to published and paid. If you have some clips to your name and are ready to ramp up your writing career, check out Six-Figure Freelancing: The Writer's Guide to Making More Money, Second Edition. And remember to use the discount code, IMPROVISEPRESS (all caps/no breaks) for 20% off of your order, which makes it cheaper than buying from Amazon. The discount is only available for a limited time when you buy directly from ImprovisePress, my new publishing company.